Our employment attorneys represent New Jersey teachers and other public employees. One issue that commonly arises is the suspension or revocation of a teacher’s license when she leaves without the required notice or is terminated for cause. Our attorney’s experience is that both leaving early and termination for cause can have drastic and severe consequences when reported to the Department of Education. It may render the teacher unemployable. Normally a teacher is required to give 60 days notice before she quits. However, there are many times when a teacher may want to leave before the normally required 60 day notice. For instance, she may have had a better offer in another district or she may just need a break. The reasons are many. However, there could be potentially severe consequences which result from this decision. A teacher who leaves employment prior to the expiration of her employment, generally requiring at least 60 days notice if prior to the end of the academic year, is deemed guilty of misconduct, and the Commissioner may suspend her certificate for up to one year. When an employee is faced with termination, she may choose not to avail herself of her remedies if the board of education allows her to resign rather than be fired. Local boards can use this as a tool to get rid of teachers they don’t want but don’t have grounds to validly fire because the consequences of termination for cause are so dire that the teacher may not want to chance it. This is grossly unfair by the boards, but it is a common tactic. 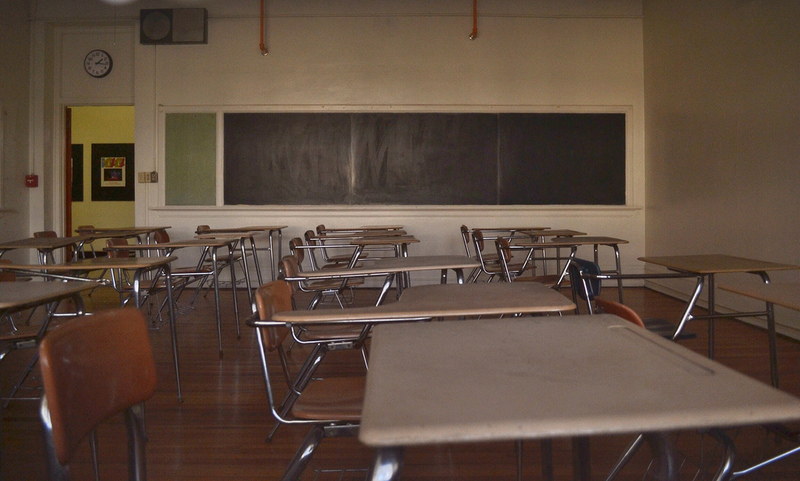 The New Jersey Department of Education’s Board of Examiners has the power to revoke or suspend a teacher’s certificate because of demonstrated inefficiency, incapacity, conduct unbecoming a teacher or “other just cause.” The phrase “other just cause,” in turn, is defined to include offenses under the New Jersey’s “forfeiture statute,” which requires that a government employee’s employment be terminated upon conviction of certain offenses. These offenses include crimes of dishonesty, crimes of the third degree or above, crimes touching on the certificate holder’s office or when required by the Constitution. Other laws further define “just cause” to include endangering the welfare of a child or incompetent person; abuse, abandonment, cruelty and neglect of a child; resisting arrest; offenses involving the manufacture, transportation, sale, possession, distribution or habitual use of a controlled dangerous substance or drug paraphernalia; a crime involving the use of force or the threat of force to or upon a person or property including, but not limited to, robbery, aggravated assault, stalking, kidnapping, arson, manslaughter and murder; any crime of whatever degree relating to firearms, other dangerous weapons and instruments of crime; any crime of the third degree; any crime of the fourth degree where the victim was a minor; recklessly endangering another person; terroristic threats; criminal restraint; luring or enticing child into motor vehicle, structure or isolated area; causing or risking widespread injury or damage; criminal mischief; burglary; usury; threats and other improper influence; perjury and false swearing; resisting arrest; escape; bias intimidation; or conspiracy to commit any of these crimes. The Board of Examiners must provide the certificate holder with notice and the opportunity to be heard prior to suspension or revocation. Certificates which have been revoked will not be reinstated. However, the holder may apply for a new certificate after four years, provided she meets the criteria, has evidence demonstrating rehabilitation, and if the revocation was for one of the crimes listed above and the candidate presents evidence that she has satisfied all conditions required in the disposition of the prior charges. New certificates may not be issued when a court has previously ordered forfeiture, the applicant barred teaching for any reason, or the applicant relinquished the certificate in lieu of an order to show cause for revocation. The effect of revocation or suspension may be that the employee is unemployable as a teaching staff member in any part of the country. Virtually all employment applications ask if the applying teacher’s teaching certificate has ever been suspended or revoked. Answering “yes” is a red flag normally causing the teacher lose the job. On the other hand, answering “no” when the answer is really “yes” is grounds for automatic termination if the local hiring board of education were to discover it. This is why it is often so necessary to fight the revocation or suspension. Our employment attorneys have been representing New Jersey teachers and other government employees for many years and have accumulated a significant record of success. We fight for teachers and other New Jersey civil servants whose rights have been violated. Please e-mail us or call (973) 890-0004 to set up an appointment for a consultation if you believe that your employer has been violating your rights. Tagged: "New Jersey lawyers for teachers", "New Jersey Teacher suspension attorneys", "New Jersey Teacher terminiation lawyers" and "Wrongful termination of teachers attorneys"